If you have ever fretted about how something would come out in the kitchen, worried a cake would fall, or like me, knocked over a two-days-in-the-making cheesecake at 9pm on the night before the big holiday you had to serve it for, you will laugh, scream and cry at this movie. The directors, Chris Hegedus and D A Pennebaker are famous for their previous documentaries, “The War Room” and “Don’t Look Back,” the former being one of the greatest political documentaries of all time, regardless of party affiliation. We ended up watching Kings of Pastry on cable, and about 20 minutes into it my kids got on the couch and we were all glued to it until the lip-biting, yelling-at-the-TV ending, which I think is high praise for a documentary about grown men subtitled from its all French-speaking version. I am a fan of shows and competitions on the Food Network, but this one, if you will pardon my very old and bad pun, takes the cake. 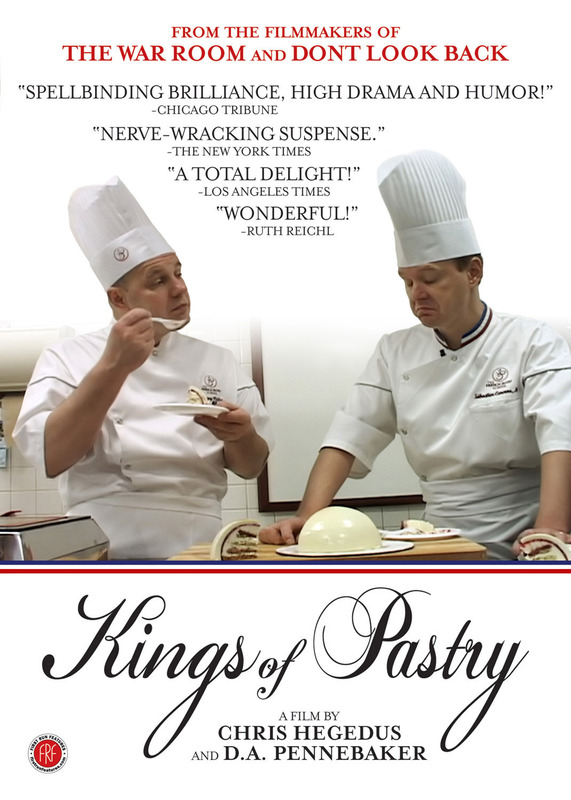 Posted in Food Writing & Other Stuff and tagged Food Movies, Kings of Pastry, MOF on May 26, 2014 by Robert Deutsch. ← Caramels, Soft or Chewy?